1) Satisfaction is guaranteed – You’re doing business with a small business that cares about you and the products we sell. If our products don’t live up to your expectations, that’s embarrassing and we’ll do everything we can to make it right even if we have to spend money. Satisfaction is guaranteed on every sale. 2) Lifetime guarantee only from Catspit – We guarantee all Ranar screenprinting presses to last a lifetime. Catspit Productions guarantees all parts, with the exception of MDF pallets, for a lifetime for the original owner if you buy through Catspit Productions. 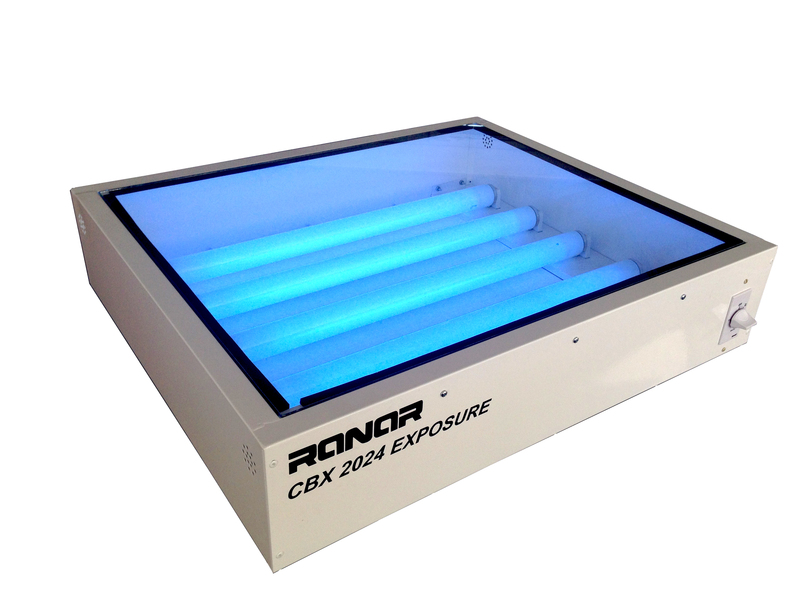 We do not guarantee or warrantee Ranar presses bought through Ranar or other dealers. 3) Unique press design – The Ranar screen printing presses we sell use compression springs rather than dangerous expansion springs or weak gas shocks. The compression spring and lift arm parts are all guaranteed for a lifetime, of course. All of our products are made and/or assembled in the USA. 4) Catspit gives back – Catspit Productions produces free educational videos on YouTube for all. We do not make and sell DVD’s about how to screen print. We share this information freely and do not profit from selling tutorials online. Your purchases help support the continued production of free tutorial videos for all to enjoy and prosper from. 5) Quality, durability, reliability – Our equipment uses more welds than bolts. Even on the Vista press which is modular and upgradable we have more welds than many of the “erector set” type equipment that you see today. 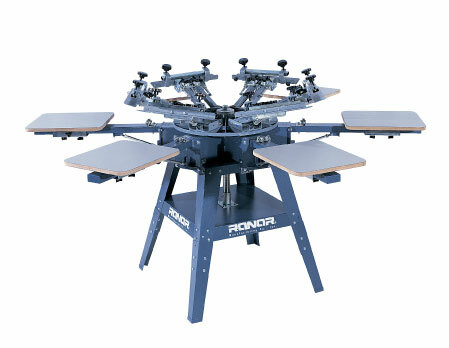 Ranar has been building screenprinting equipment for over 30 years and they never bought out any other plans, designs or brand names to call their own. We use 100% original designs that have been proven over the years through usage by screen printers. 6) No sales tax on many out of State orders – No sales tax on all equipment purchases out of or in Arizona State. We only charge sales tax for California on equipment and supplies. Sales tax is charged for supplies in Arizona but not on equipment. We’re still small enough to not have to pay taxes on out of state internet sales. Those tax savings are your savings. Sometimes doing business with a smaller company has its sales tax benefits. 7) Free shipping on all major equipment purchases – FREE SHIPPING on equipment purchases! We offer free shipping anywhere in the continental United States on all equipment purchase over $100. That’s right! Our major discount incentive saves you hundreds if not thousands on shipping your equipment to you. We’re the only Ranar dealer in the US to offer free shipping all year round. You don’t have to wait for a sale to save on freight. 8) Honest and fair low pricing – Compare our low pricing, no sales tax, and free shipping on major equipment purchases to their pricing and “free” shipping. Jonathan tries hard to price products fairly and never inflates pricing to compensate for shipping incentives. We think you’ll see that the free shipping is not always free. 9) Free technical support for all – Whether you buy from us or not feel free to give Jonathan a call if you need help with anything. That’s what we do here. We teach and educate first. Helping you with your equipment and supplies purchases comes secondary to that. An informed customer is a happy customer. And all equipment purchases come with lifetime support. Just give us a call. 10) Stimulate the US economy – Supporting small businesses helps stimulate the economy and create jobs. Help your Mom and Pop businesses thrive and grow in this corporate world. Support traditional capitalism and entrepreneurs around the globe. That’s what makes the internet so powerful. You have a choice. This entry was posted in Advertisement, Arizona, Business, Do It Your Self, How To Screen Print Tee Shirts, Sales, Screen Printing, Screen Printing Equipment, Website Information and tagged blanks, CatspitScreenPrintSupply, cheap, Clothing (Industry), custom, Do It Yourself (Hobby), educational, equipment, garments, Halftone, heat, home, how, Howto, information, learn, printed, Printed T-shirt, printing, resale, sales, screen, screen print, screen printing, screen printing screenprint screenprinting silkscreen silk heat transfers tee tees shirts t shirt t-shirt how to print garments textile supplies equipment tutorial educational at home learn make your, screenprint, screenprinting, shirt, shirts, silk, silk screen printing, silkscreen, silkscreening, supplies, supply, t-shirt, T-shirt (Garment), tee, tees, textile, to, transfers, tutorial, videos, wholesale, yourself. Bookmark the permalink.